— Submitted photo Pictured in the photograph are Hamilton County Crime Stoppers Board Members and Hamilton County law enforcement representatives, from the left, Rev. Craig Blaufuss, Mary Harris, Alice Henrichs, EJS Police Chief Steve Butler, Hamilton County Sheriff Doug Timmons, Kathy Getting, Jerry Goebel, Webster City Officer Sam Long, Webster City Police Chief Shiloh Mork, Karen Culbertson, Dalene Schlitter, Webster City Officer Ryan Basinger, and Wendi Dinsdale. 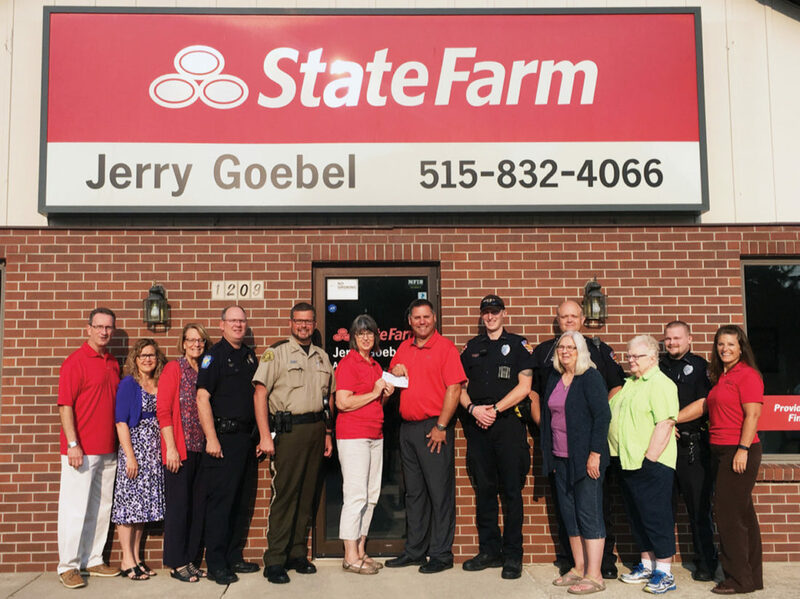 The Hamilton County Crime Stoppers recently received a $1,500 donation from Jerry Goebel State Farm Insurance to sponsor theTipSoft program. TipSoft is an electronic service that allows tipsters to remain completely anonymous when submitting information to local law enforcement. 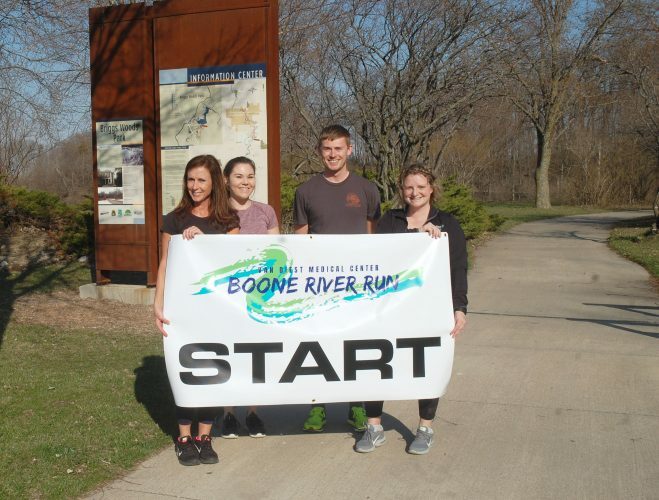 The first year’s subscription fee was funded through an Enhance Hamilton County Foundation grant to Hamilton County Crime Stoppers. Jerry Goebel State Farm Insurance has stepped up to cover the cost for this fiscal year. Hamilton County Crime Stoppers endeavors to encourage the community to assist local law enforcement agencies in the fight against crime by overcoming two key elements that inhibit community involvement: Fear and Apathy. For more information on the Hamilton County Crime Stoppers, visit their website at hcstopcrime.com or follow them on Facebook.